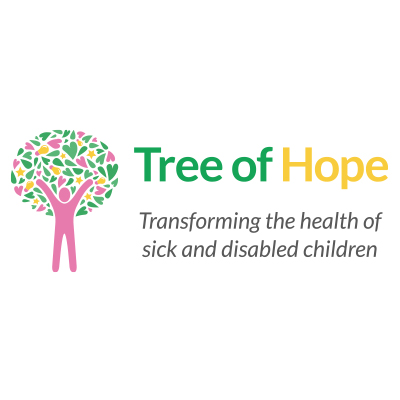 Tree of Hope support families to fundraise for the medical treatment, therapy and equipment they need to to transform their child life. For people with Cystic Fibrosis ‘The Vest’ is a airway clearance device that mean children could be treated at him. This costs £3,500 for a refurbished model or £5,100 for a brand new machine. This is a significant amount of money for a family to find. Tree of Hope’s unique model means it can families get access to equipment and therapies which would otherwise be out of their price range. Hope is the keystone of what we do, and it is something every child and every family should have. By assisting families with securing the finance to purchase items like ‘The Vest’ which can be used in the home, we empower families to deliver therapy to their own children at home, reducing their dependence on the health care system, giving them greater freedom and quality of life. To find out more about starting your fundraising campaign please contact Georgie in our Family Support Team on 01892 535525 or via families@treeofhope.org.uk. Cystic Fibrosis, or CF, is a life-limiting, genetic condition that slowly destroys the lungs and digestive system. It is a genetic disorder in which one of your genes (the CFTR gene on chromosome 7) is faulty. Currently, there is no cure. The faulty gene means there are difficulties with the cells passing sodium which builds up thick mucus. In the lungs, a build-up of mucous means the cilia (which are hair-like projections which line the primary bronchus section of the lung) do not move. The primary function of the cilia is to remove debris from the interior of the lungs. The extra debris and mucous means people with CF struggle with reduced lung function and have to spend hours doing physiotherapy and taking nebulised treatment each day. Exacerbations can lead to frequent hospitalisation for weeks at a time, interfering with work and home life. Whilst CF is largely problematic for the lungs, it affects any organ system that produces mucus in the body: sinuses, gastrointestinal tract, pancreas and liver. As the pancreas becomes blocked with mucus, enzymes needed for digesting food cannot reach the stomach. People with CF often need to take more than 50 tablets a day to help digest food and keep respiratory symptoms in check. What are the Physical Symptoms of CF? CF is a genetic condition which children are born with. Most are diagnosed as babies before the age of six months. People with CF can experience a range of systems on top of serious breathing difficulties including sinusitis, nasal polyps, osteoporosis (thin, weakened bones), arthritis, and liver problems. They can also develop diabetes from late childhood or early adulthood if the pancreas becomes severely damaged. Men with CF are usually infertile and pregnancy can place a lot of stress on the body of a woman with CF. Two people with CF should never meet face to face, as their lungs will harbour specific bugs that could cause a serious infection in someone with the condition. This means no support groups and requires strict segregation to be in place at CF clinics. More than half the people with CF in the UK will now live past 47, and babies born today are expected to surpass that. With more than 50% of the CF population in work or education and many people with CF having families of their own, the future is much brighter than it ever was before. A lot more people with CF are alive today as a result of self-care. Home monitoring and remote monitoring means empowerment: giving people with CF the tools to monitor themselves. Can include the use of a pulsometer, lung function meter, wellness and weight monitoring. ‘The Vest’ is an advanced airway clearance system for people with CF. The device uses a system called High-Frequency Chest Wall Oscillation (HFCWO). It is attached to an air pulse generator which rapidly inflates and deflates the garment, gently compressing and releasing the chest wall up to 20 times per second. This process creates ‘mini coughs’ that dislodge mucus from the bronchial walls, increases mobilisation and moves it along towards the central airways. Once the mucous has been moved from the smaller to larger airways, it can be easily removed by coughing or suctioning. If suitable, the vest allows children to be treated at home, which in most cases cut down the need for hospital admissions, which are extremely disruptive to everyday life. Regular mucous clearance keeps lungs as clear as possible, which reduces the impact of CF on children’s bodies, giving a better quality of life, and hopefully the chance for a longer lifespan. It can be used to treat a variety of other conditions including Motor Neuron Disease, Muscular Dystrophy, Cerebral Palsy, Asthma, Emphysema, Lung injury and acute respiratory distress syndrome.